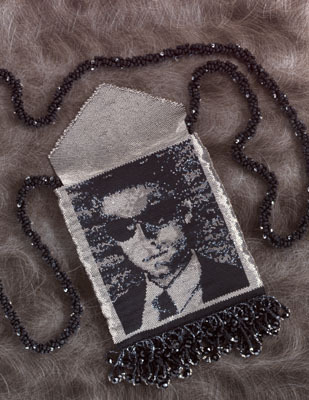 The Tom Cruise evening bag is 6" long x 6 1/2" wide and took 400 hours to complete. The strap is a 54 inch sprial rope chain. 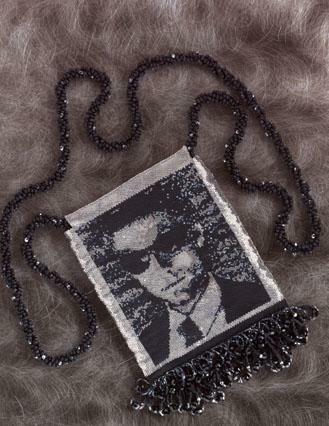 I used 49,000 matte black, cut gunmetal, matte light grey, & 22 karat white gold Delica seed beads.